As a result of conflicting rulings over the years, confusion remains on whether New Jersey emergency service personnel, such as police officers and firefighters, have the right to seek recovery and damages after suffering injury, disease or death while performing official duties. Of course, the likelihood of harm is high due to the job responsibilities, as is the possibility of negligence. Fortunately, emergency service personnel now have the same legal rights as all other citizens. But that wasn’t always the case, especially for firefighters and police officers. Adopted by the New Jersey Supreme Court in 1960, the “firefighters’ rule” prevented firefighters, police officers and other types of emergency personnel from seeking damages for on-the-job injuries. 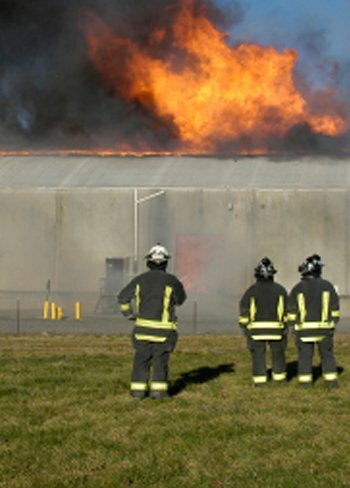 Courts essentially stated firefighters and police officers “assumed the risks” of their dangerous profession and couldn’t file civil lawsuits against property owners for personal injuries, even if negligence was involved. So any emergency service personnel injured as a result of someone else’s negligence were unable to receive compensation. They were limited to worker’s compensation benefits to help with their injuries. Also, if there was a long road to recovery, firefighters and police officers faced the possibility losing their jobs and the ability to provide for their families – all without any recourse.